HB 4 restricts the rights of patients in numerous ways, including imposing a one-size-fits-all $250,000 cap on non-economic damages that effectively deprives many patients and their families of due process; allowing emergency room doctors to escape accountability for substandard care; and requiring patients to give pre-suit notice of any health care liability claims and file a detailed expert report within an arbitrary 120-day deadline (with case-killing penalties if they fail to do so). The noneconomic damages cap, which is not indexed to inflation and thus worth less each year, hits those without wages and economic damages particularly hard, making even the most clear-cut malpractice cases on behalf of the elderly, the young, the disabled, and stay-at-home parents financially impossible to pursue for many given the high cost of retaining medical experts, which comprise the bulk of litigation expenses. The merits of one’s case are far outweighed by their socioeconomic status. Under Texas law, the value of one’s life is essentially reduced to the value of their paycheck. You are what you make. Life is cheapened and families are devalued. Instead of being a right possessed by all, what little justice remains becomes a privilege for the few. A staggering and senseless number of Americans lose their lives to medical errors, making it all the more important to bear in mind that a mere 5.9% of physicians are responsible for 57.8% of all malpractice payments. Despite the extent of medical errors, researchers have demonstrated that as few as one out of every twenty-five patients with a negligent or preventable injury actually goes to the length of bringing a medical malpractice claim. The reality of the situation in Texas was that from 1990 to 2002, the number of smaller paid claims declined sharply, and adjusted for the number of physicians or growth in real health care spending, the total number of paid claims and the number of large paid claims declined. However, these facts did not get in the way of the so-called tort “reformers,” who in their effort to carve up patient protections, cried that there was a “crisis” in medical malpractice claims as insurance premiums were ratcheted upward by carriers. Instead of improving the quality of medical care and investigating the accuracy of insurance premiums, safety was sacrificed and patients’ rights were eviscerated. In this brave new world, a tiny state agency, the Office of Patient Protection, was supposed to serve as a counterbalance for patients, but it was smothered in the cradle before it could even represent any aggrieved patients. The Texas Medical Board, which nominally regulates physicians, does not have the will to consistently remove incompetent doctors from the practice, nor does it have a mechanism to compensate patients or adjust liability disputes between patients and doctors. 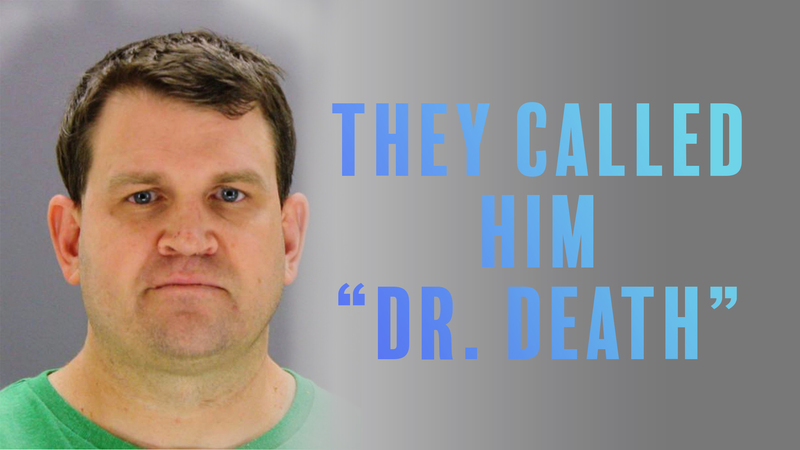 Because of our broken legal and regulatory systems, Texas has become a dumping ground for doctors with deeply distressing records like Pamela Johnson, Stefan Konasiewicz, and Christopher Duntsch, the neurosurgeon whose reign of terror was finally ended by the criminal justice system when he was sentenced to life in prison for his butchery. Dr. Donald Okechukwu Ozumba, a McKinney surgeon, currently faces two charges of sexual assault allegedly committed against his patients. Restrictions on patients’ rights were sold with lofty promises about access to care, such as then-Governor Perry’s statement that HB 4 would “protect patient access to quality health care.” However, this rhetoric does not reflect reality. Texas ranks 1st in the percent of the population without health insurance. 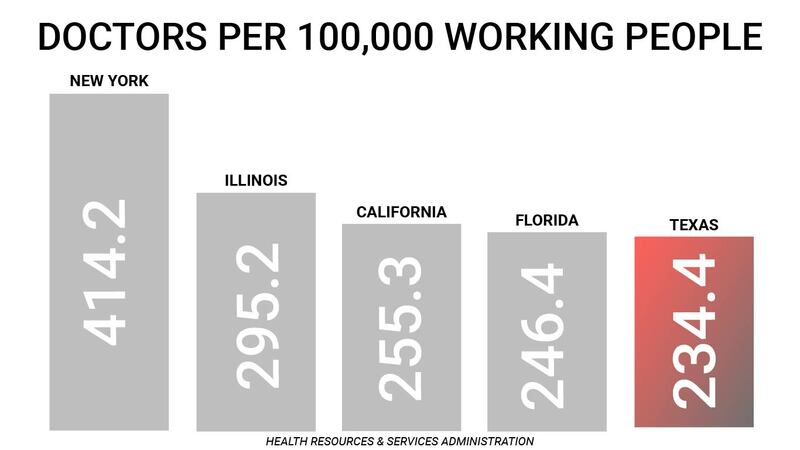 Texas has fewer physicians per 100,000 working-age people when compared to other large states like California, New York, Florida, and Illinois. Rick Perry’s claims about Texas gaining doctors due to “tort reform” have been thoroughly investigated and determined to be outright false by the Pulitzer Prize-winning PolitiFact. 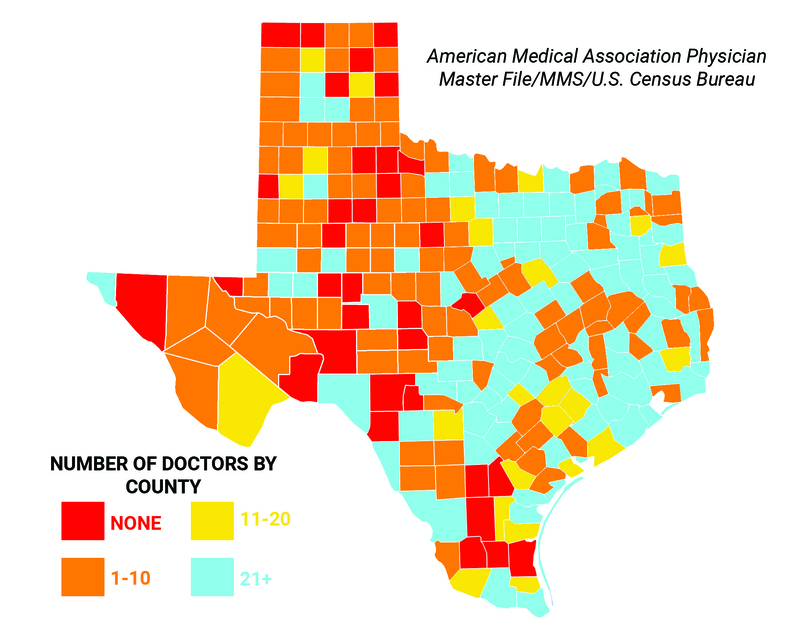 Rural communities remain grossly understaffed and underserved, with 63 Texas counties having no hospital, 27 counties having no primary care physicians, and 16 counties having only one such doctor. Roughly half of this 268,000 square mile state is covered by trauma centers in just two cities: El Paso and Lubbock. According to one recent study of the physician workforce in Texas, 35 Texas counties have no physicians of any kind, 80 Texas counties have five or fewer physicians, 147 Texas counties have no obstetrician/gynecologist, 185 Texas counties have no general psychiatrist, and 158 Texas counties have no general surgeon. In a 2008 academic study on the impact of HB 4 on physician supply, researchers concluded that “Texas was not losing physicians before HB 4 took effect,” “the data do not yet support claims of dramatic improvements in patient access to physicians,” and “tort reform had limited impact on the number of DPC [direct patient care] physicians, including DPC specialists.” In follow-up research published in 2012 that looked at a longer trend of physician supply data, the same scholars concluded: “Physician supply was not stunted prior to reform, and it did not measurably improve after reform. This is true whether one looks at the number of patient care physicians in Texas, the number of Texas physicians in high-malpractice-risk specialties, or the number of physicians per capita in Texas relative to other states.” Today, Texas ranks 47th in the nation in active primary care physicians (PCPs) per 100,000 population. Furthermore, health care costs for both families and taxpayers continue to rise. Annual health insurance premiums paid by employees (not including employer contributions) for Texas families have increased from $1,759 in 2000 to $5,409 in 2015 – a whopping 207.5% increase in out-of-pocket premiums paid by Texas workers. Thirty-one percent of Texans are underinsured compared with 19 percent of Californians and 22 percent of New Yorkers. The share of insured adults in Texas with high deductibles relative to income exceeds the national average at 15 percent, while California and New York have considerably lower shares at 6 percent. 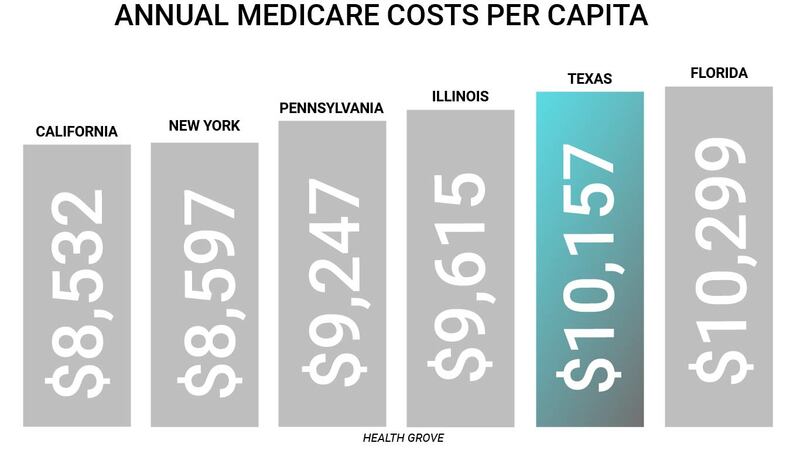 Meanwhile, Texas outpaces other large states like California, New York, Illinois, and Pennsylvania when it comes to Medicare spending and usage on a standardized, risk-adjusted, per capita cost basis. Creating special privileges under the laws for doctors and hospitals has not reduced costs by leading to fewer “defensive medicine” practices. A recent study in the esteemed New England Journal of Medicine found no reduction in “defensive medicine” practices when it looked at the experiences of three states – Texas, Georgia, and South Carolina – which have heightened bars for recovery against emergency care providers. The authors of the study concluded: “We did not find evidence that these reforms decreased practice intensity, as measured by the rate of the use of advanced imaging, by the rate of hospital admission, or in two of three cases, by average charges. Although there was a small reduction in charges in one of the three states (Georgia), our results in aggregate suggest that these strongly protective laws caused little (if any) change in practice intensity among physicians caring for Medicare patients in emergency departments.” Stated plainly, the physicians in these states are still over-practicing medicine despite the passage of laws that restrict patients’ legal rights. These so-called “tort reform” laws haven’t increased access or contained costs – they’ve only restricted rights. Texas’ medical crisis for patients has only been exacerbated by a crisis in its judicial system, as many patients have access to neither a doctor in the event of illness nor a courtroom in the event of suffering a preventable injury. The biggest beneficiaries of this rigged system are the professional liability insurers who are able to routinely collect premiums for malpractice policies that they will rarely have to pay out on.